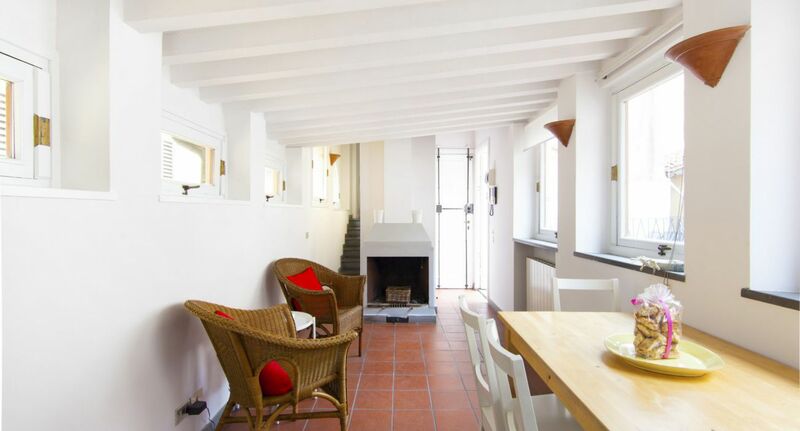 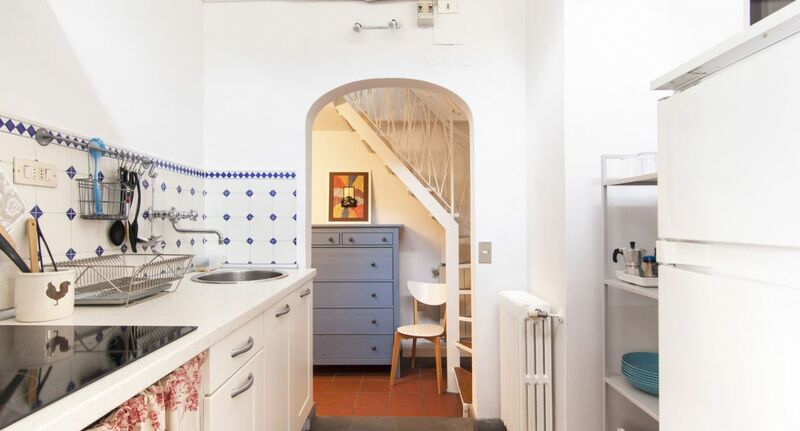 Set on the top floor of an ancient Florentine tower house, this charming split-level apartment – full of character, of light and of movement – will give your vacation an unforgettable sense of authenticity which no hotel can ever match. 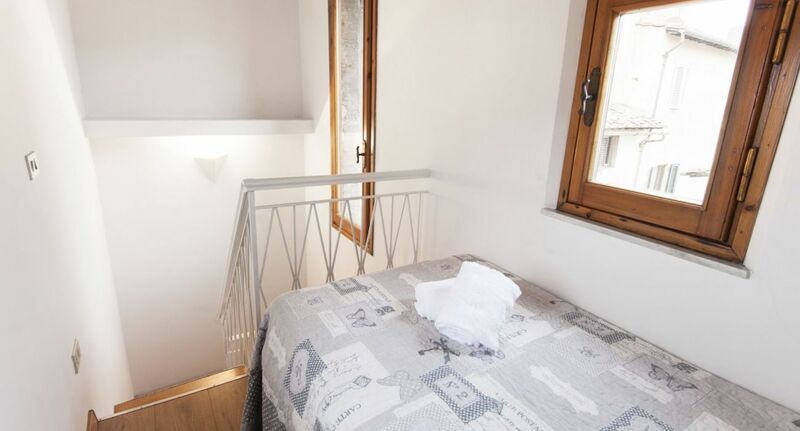 Unlike most similar buildings in Florence, this one has an elevator, so the accommodation is suitable for guests of all ages. 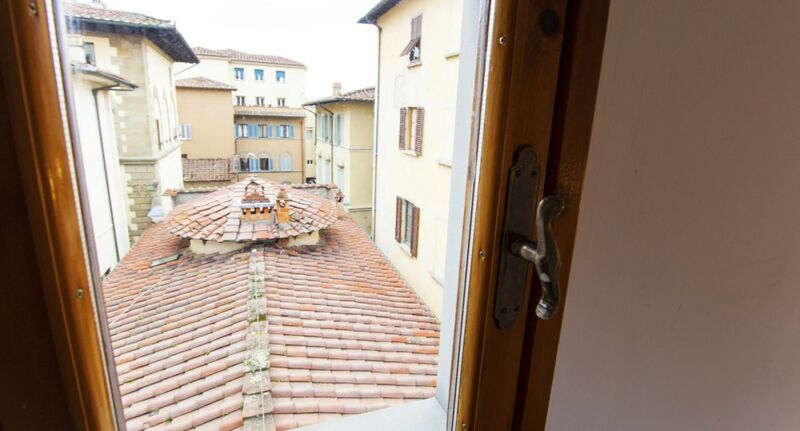 Each room has its own special charm, but the true highlight may be the wonderful panoramic terrace overlooking the rooftops of old Florence – a priceless setting for a breakfast, a romantic dinner or just a mid-afternoon coffee or a beer with friends. 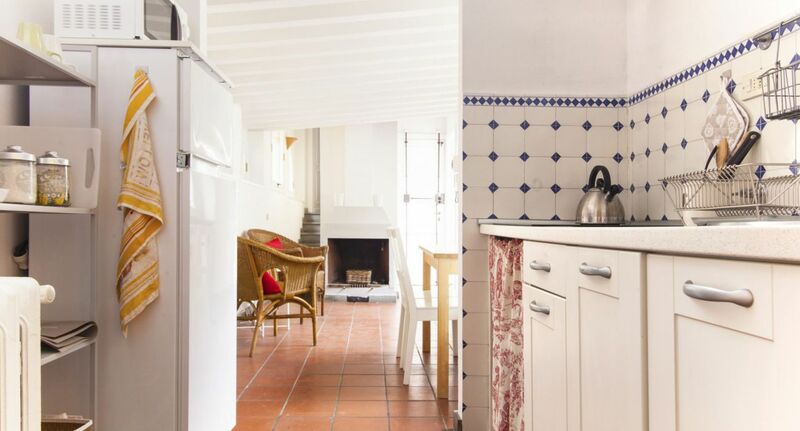 The property offers free high-speed WiFi, a television, and air conditioning in all rooms. 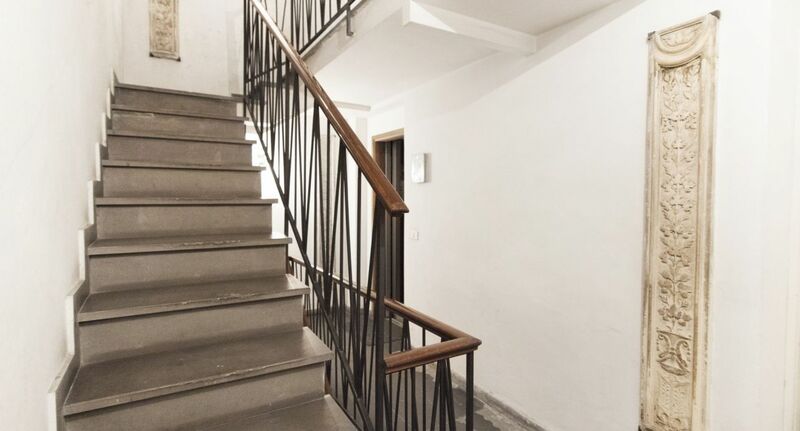 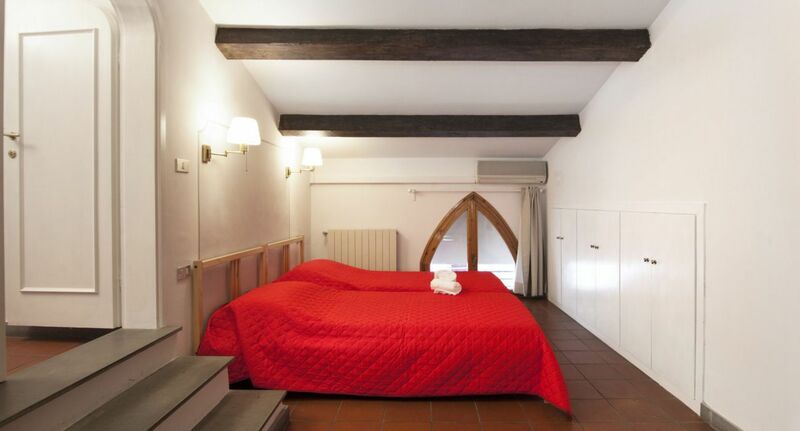 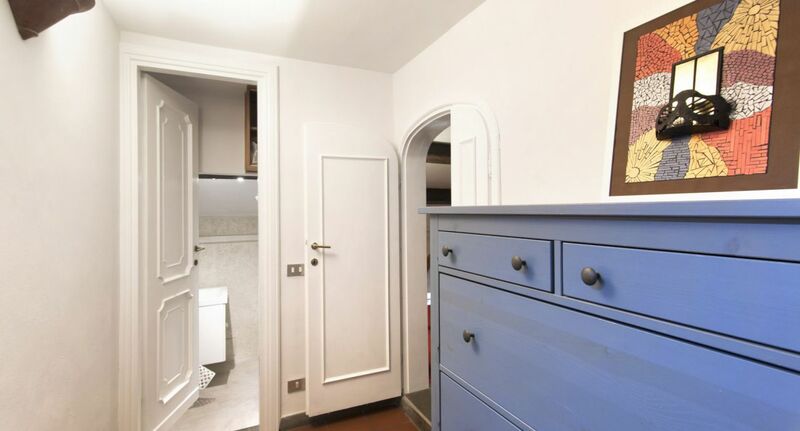 Located in a picturesque cobblestone alley in the heart of Florence’s historic center, the apartment is literally steps away from Ponte Vecchio, via Tornabuoni, Piazza della Repubblica, piazza della Signoria and the Uffizi Gallery. 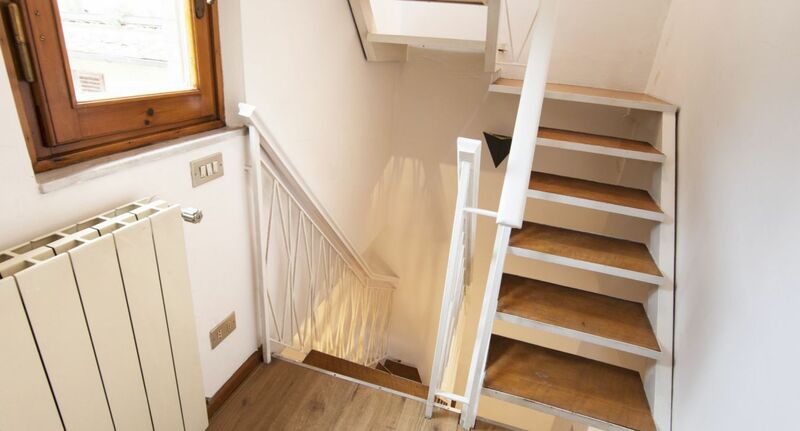 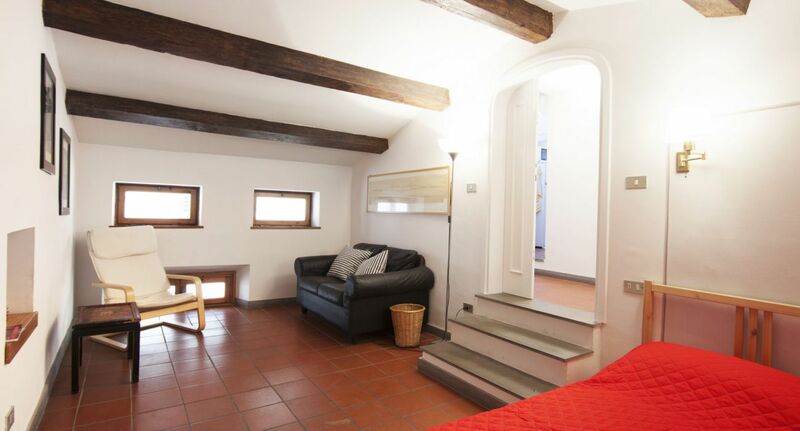 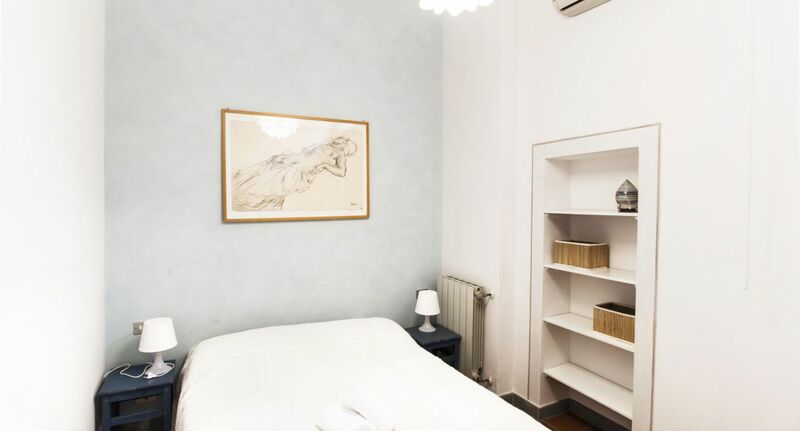 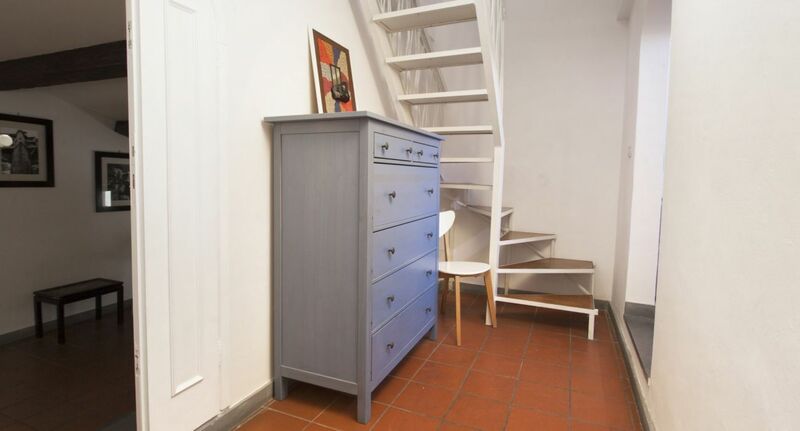 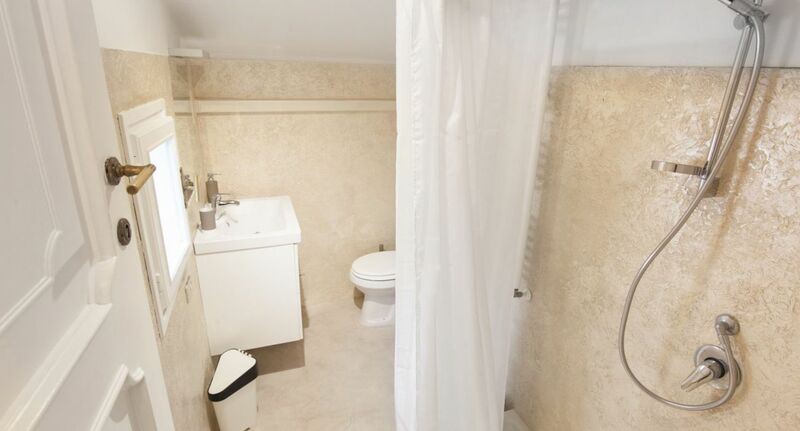 The Duomo, Santa Croce, Pitti Palace, Boboli Gardens and the train station are all less than 10 minutes away on foot, meaning you will never need a bus or taxi when staying at this apartment. 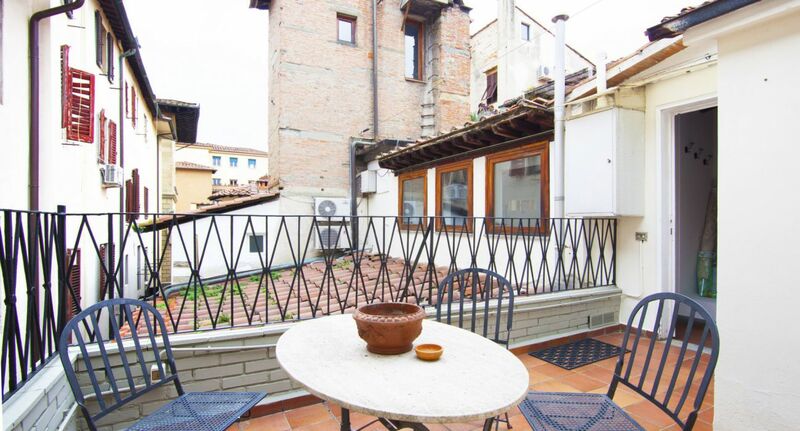 The area is also home to an endless variety of restaurants, bars, pubs, ice cream shops, pizzerias, and shopping opportunities, from open-air markets to the most exclusive boutiques.